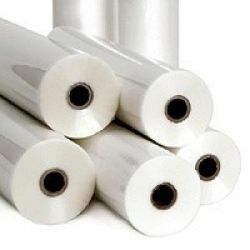 SSW / HOP / DryLam Laminating Film is a 1.5 mil film. (Melting Temperature 250 - 280 degree Fahrenhelt). 27" x 500' x 1.5 mil x 1" Core - VOLUME PRICE requires a minimum purchase of 6 rolls!